SCHOOL GARDEN UPDATE: We tested a simple “fish tea” solution on half of our celery starts at school and we were impressed with the results! The half that got plain water were yellowed and slow growing. 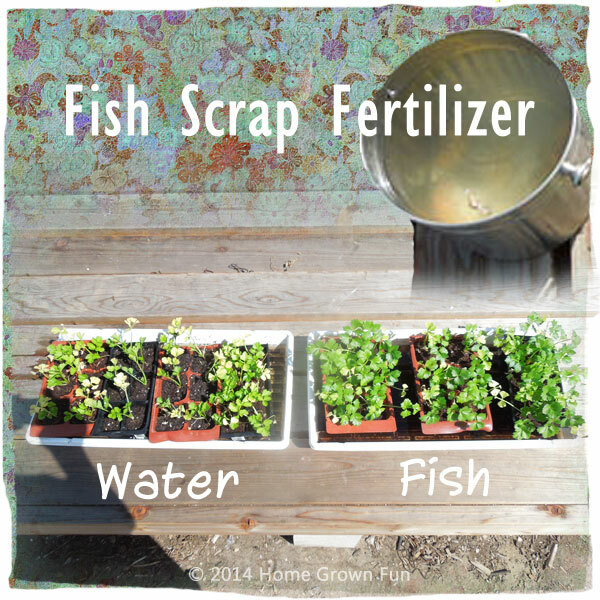 The half that received fish water grew more vigorously and took on a more rich green color. We simply put a piece of dried fish in a small bucket of water and let it sit for several hours. 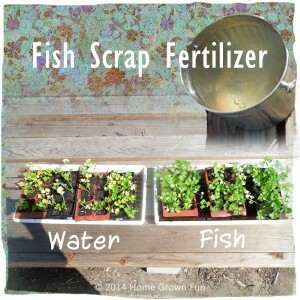 We reused the fish another time for other plants and then buried the thin leftovers in a garden bed. For detailed homemade fertilizer and soil amendment recipes, check out my 2014 eBook. More Home Grown Fun For You! Homemade Fossils - MADE EASY! Homemade Fossils – MADE EASY!